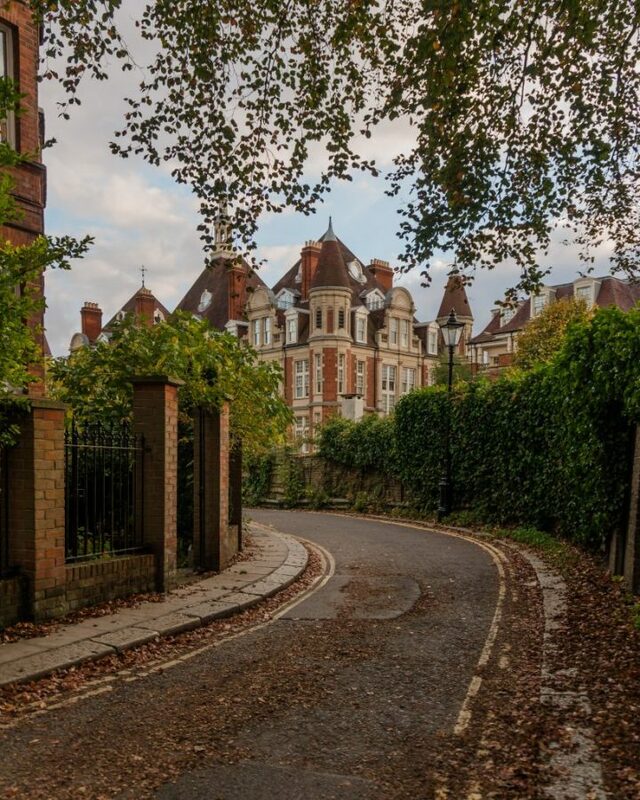 London is an instagrammer’s dream all year round and autumn is no exception. 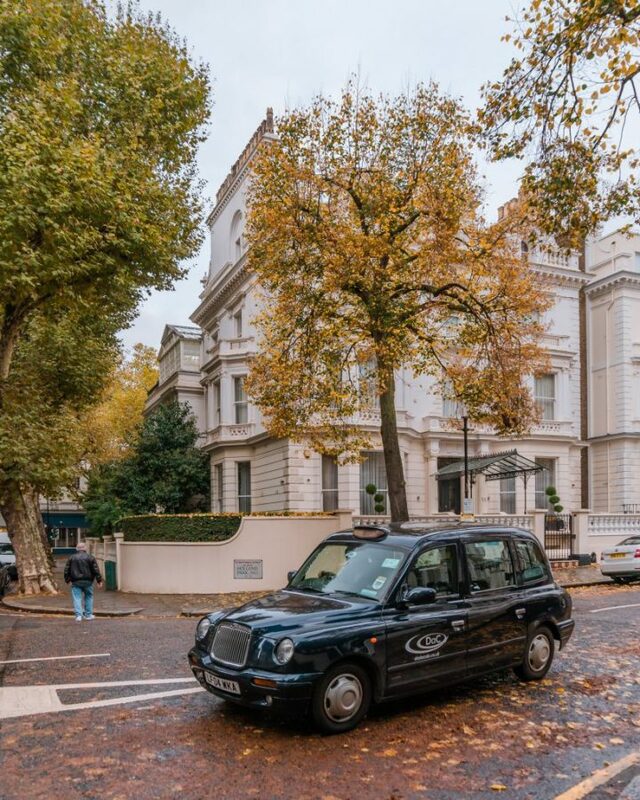 In fact, autumn is one of my favourite seasons to explore the capital! All the beautiful ivy-covered walls suddenly turn into spectacular orange and red displays and the parks in the city become full of fall foliage. 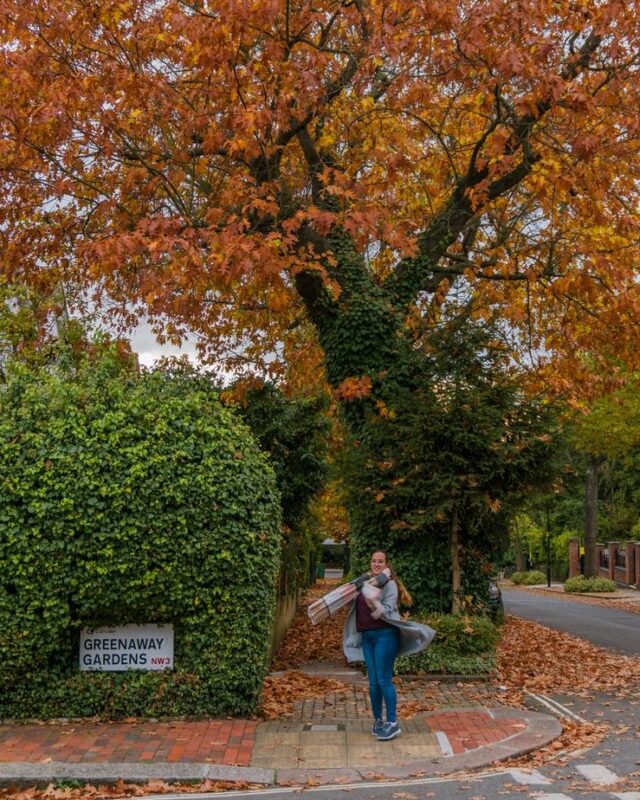 Here is my round up of the most beautiful places in London in autumn! 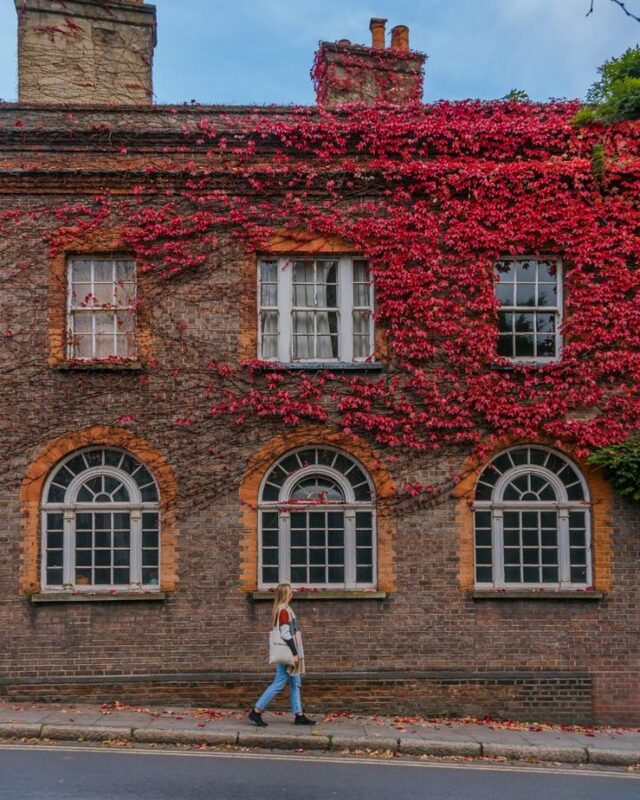 PS: did you miss out on the autumn colours but still want to find some of the most instagrammable places in London? Don’t miss my article on the best spots for photos in London! 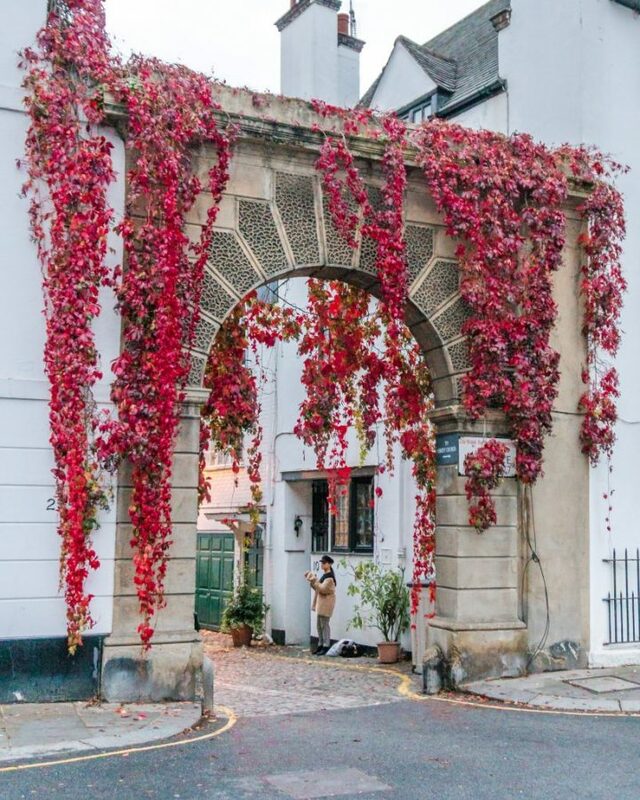 If you’ve ever searched for London on Instagram during autumn, you will definitely have seen photos of the beautiful Kynance Mews. 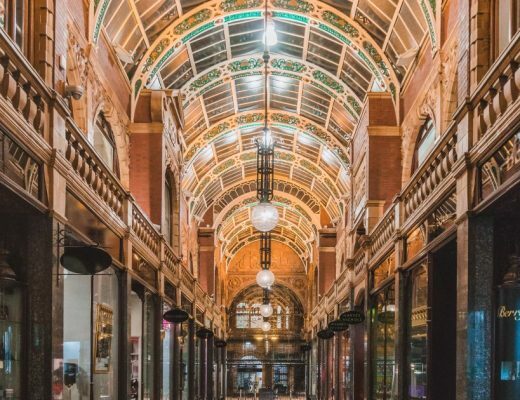 From huge influencers like @leoniehanne to casual photographers who just want a pretty autumnal shot, this is one of London’s most popular photo spots in autumn. Don’t forget to head down the other half of Kynance Mews (across Launceston Place) for more foliage covered houses and way fewer people! Holland Park Mews was just around the corner from where we were staying with City Relay so was a great starting point for a little Instagram walk. We walked down Abbotsbury Road and stopped at Holland Park Mews, which is a really cute street. You can also see what embassies you can spot in the area! Don’t miss going a bit further to Holland Park – you might get to spot some of the free-roaming peacocks and also head to the Kyoto Garden for a little Japanese-style architecture in Central London. Notting Hill is a great area whatever the season, but the added orange and red leaves just complement the bright houses for me. 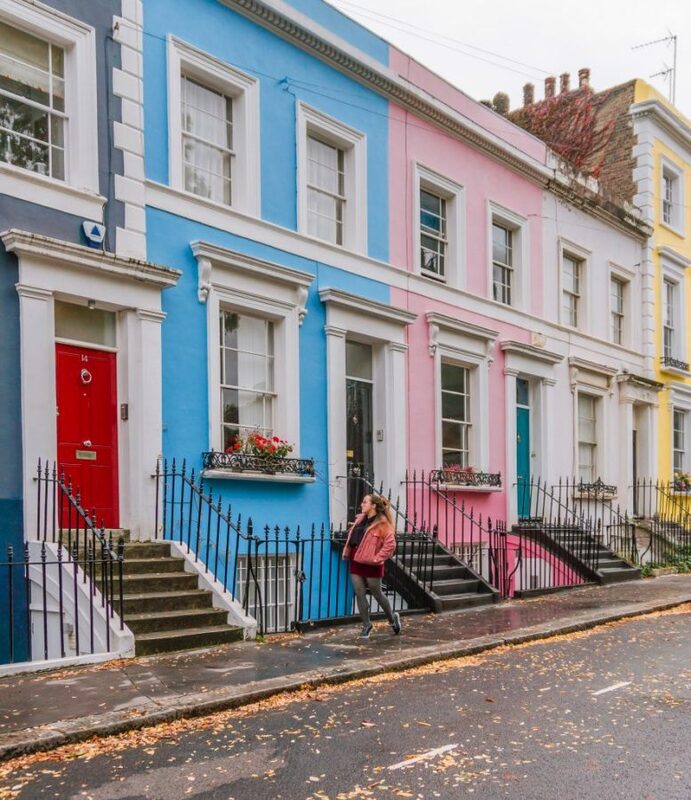 From Portobello Road to Denbigh Terrace, there is no lack of colourful facades! We also found some beautiful orange-red trees around Elgin Crescent and Portland Road, so it’s well worth a wander from Holland Park Mews to Portland Road and over to Biscuiteers (add in a stop for some delicious biscuits or some amazing doughnuts from Doughnut Time around the corner). 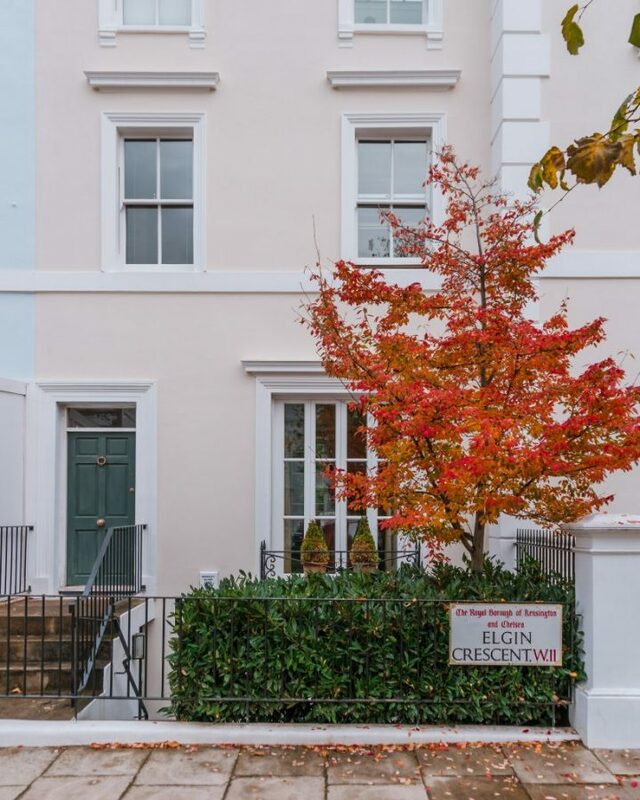 Continue along Portobello Road and Denbigh Terrace and you can walk via the lovely Wild At Heart flower stand at Westbourne Grove and even head up to the beautiful St Lukes Mews. Cosy in any weather, Dalloway Terrace really outdoes itself in autumn and winter! Their current autumnal decor is a lovely touch, and the food is as good as always. 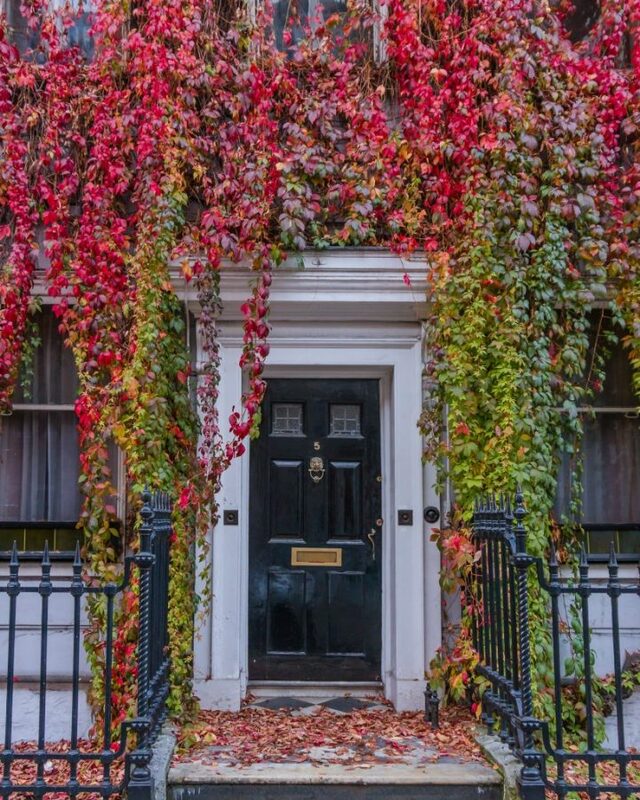 Usually tagged as ‘Mayfair’ or ‘Marylebone’ on most Instagram posts, this popular autumnal door is located at 5 Wimpole Street. Usually with an inconvenient car or van in front, consider yourself extremely lucky if you find the spot in front empty or containing a cute car. Interesting close-ups or side angles usually required. One spot I actually only recently discovered and haven’t managed to get to myself, this beautiful spot in Clerkenwell is definitely one of the best Instagram spots in London in autumn! Another area of London which really needs no promotion, the Southbank is a beautiful area and a great spot for a walk whatever the season. 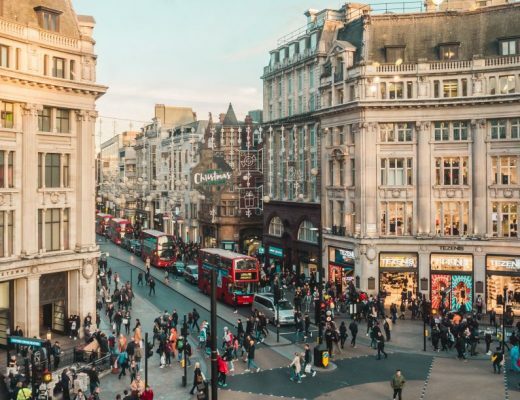 Walk along the Southbank in autumn, however, and you will get to see some of London’s most iconic sights surrounded by orange and red leaves. Perfect! The park section has begun – consider yourself warned! Take a walk down the tree- and bench-lined path through Regent’s Park and marvel at the beautiful autumn leaves that surround you from all sides. Feel crisp leaves crunch under your shoes (unless it’s been raining, they may squelch then instead) and – if they are dry – have fun throwing them in the air like the secret 5-year old you really are. Richmond Park is best-known for the deer that hang out there. Autumn is the ‘rut’, or breeding season, so make sure to stay at least 100m from the deer (recommended all year round by park managers, in fact). Richmond Park is a National Nature Reserve and is home to over 600 red and fallow deer! 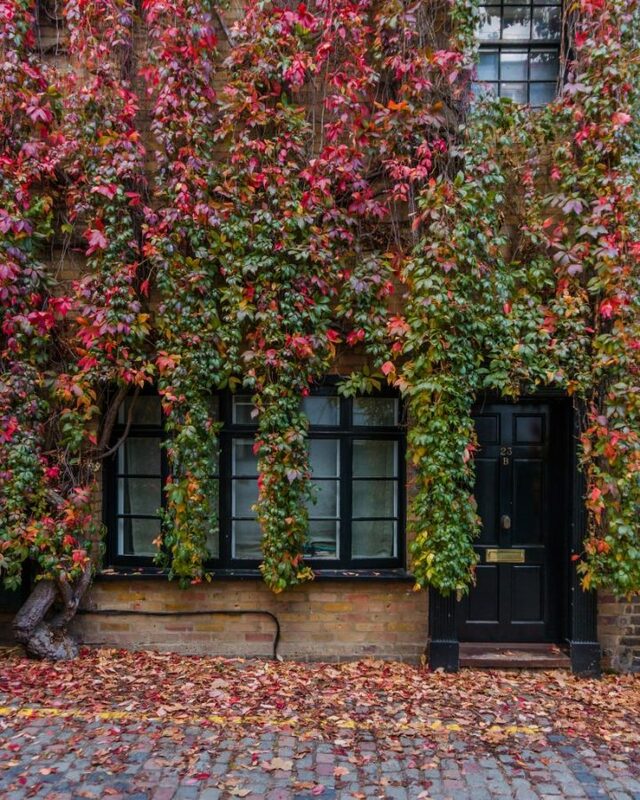 Looking for the best autumn walks in London? Check out the National Trust’s round-up of the best, including Richmond Park! Green Park in autumn definitely disagrees with its name in the most wonderful manner – hues of orange, yellow and red decorate this park in autumn beauty and it’s the perfect spot for a walk in your favourite cosy jumper (how else do you go for walks in autumn?). Time Out London lists the best London parks to explore in autumn – of course Green Park makes the list! I have seen so many photos of Kew Gardens lately and it makes me sad that I actually haven’t visited in way too long. It’s an incredible place and they even host autumn walks! Admission to Kew Gardens does cost, but it’s well worth the visit fee! For adults it’s £16 and for children it’s only £4. Take a visit to the Palm House with the iconic white, spiral staircase that often makes its appearance in Instagram photos from Kew or walk the Treetop Walkway for spectacular views across the gardens. St Dunstan-in-the-East was a Church of England parish church near London Bridge but was severely destroyed during the Second World War (particularly in the Blitz in 1941) and the ruins are now a public garden. The ivy-covered church walls make for a particularly beautiful photo spot in London and maintain a sense of fairytale while reminding us of the tragedies of the past. Until this autumn, I actually hadn’t been to Hampstead. I was finally convinced by all the Hampstead photos turning up on my Instagram feed and I definitely don’t regret it! I gave up on the names already… this gorgeous spot was an accidental find when wandering from Fitzjohn’s Avenue to Frognal. Hampstead a great place to simply wander and see what you find – we stumbled upon this beautiful green and orange-hued spot on the corner of two residential roads and really confused parents on the school run when they passed us doing our Insta-thaaang. You mean you don’t twirl around in autumn leaves normally? Who ARE you? Okay, maybe there will be a few names. 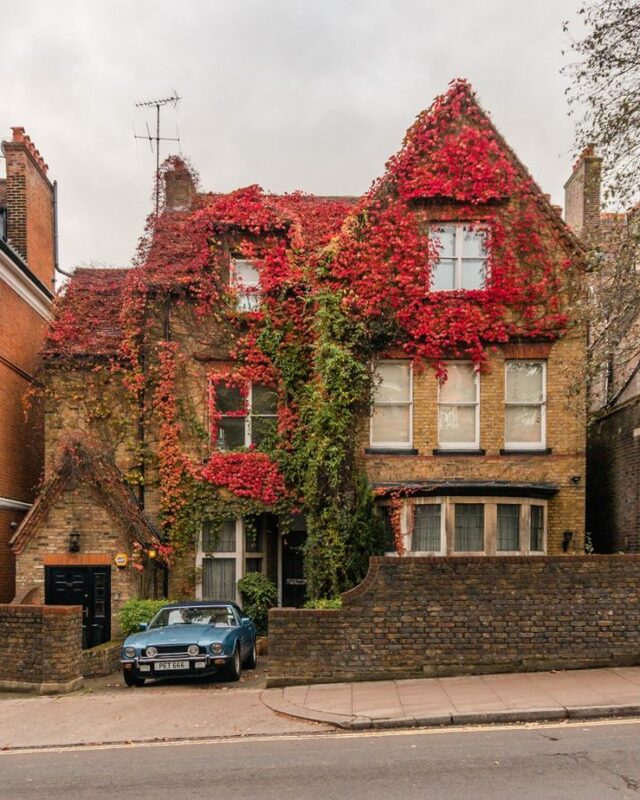 This spectacular ivy-covered facade that faces onto Frognal goes incredible colours of red during the autumn months and is a definite must-visit! I don’t really have much else to say… it’s just beautiful! There is a whole load of beautiful spots if you just wander around Mount Vernon and Holly Hill (how adorable are these places names?). 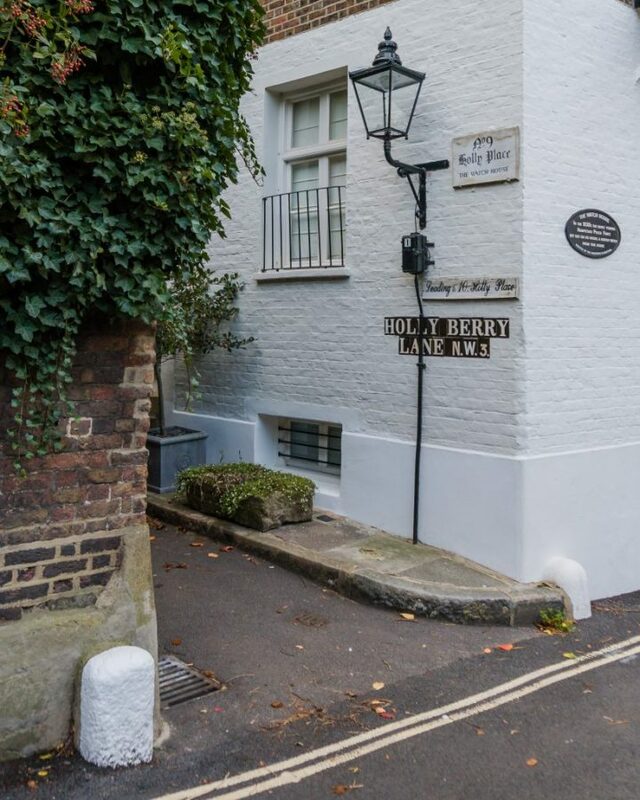 Don’t miss a visit to the Watch House on Holly Berry Lane – this was the house from which the Hampstead Police Force went out on their patrols and nightly watches in the 1830s! Anyway, the fallen leaves and the ones overhead make a great frame for the castle-like building you can see on the curve of the road. The most instagrammable pub in Hampstead, maybe? 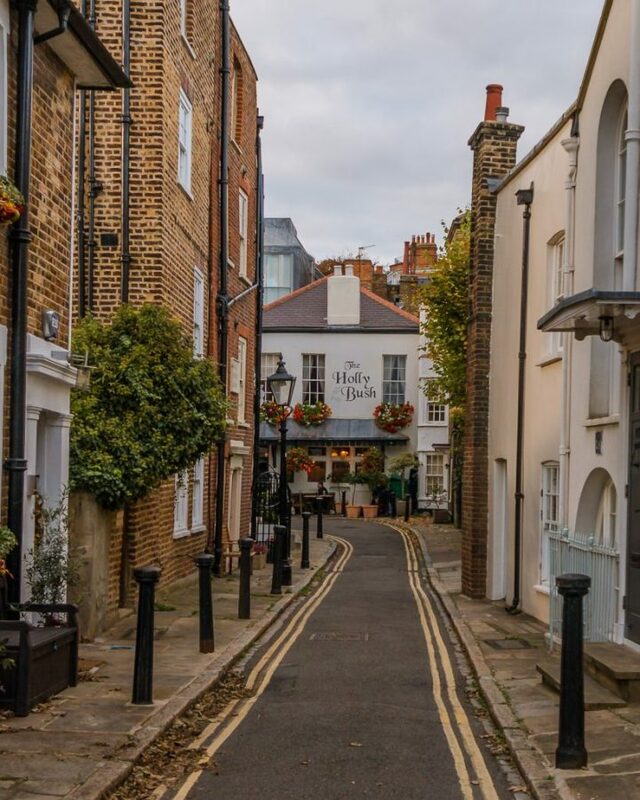 This adorable pub located on the curve of Holly Mount is a great spot to stop for a pint after your explorations of Hampstead, plus it’s a rather instagrammable place in itself. While I could have listed every single London park in this article (they are ALL beautiful in autumn), I did try to only pick my favourites! 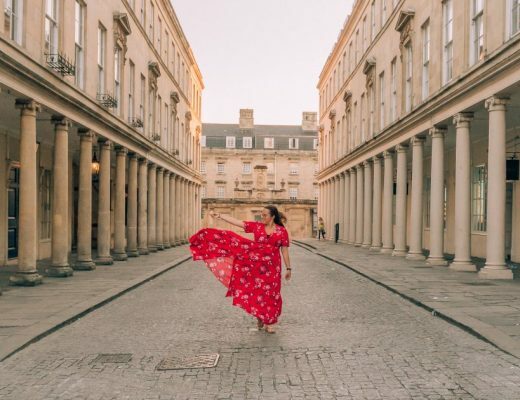 There are many more mews I could have recommended and lots more cafes – you can find more of the non-autumn-specific ones over in my article on the most instagrammable places in London. 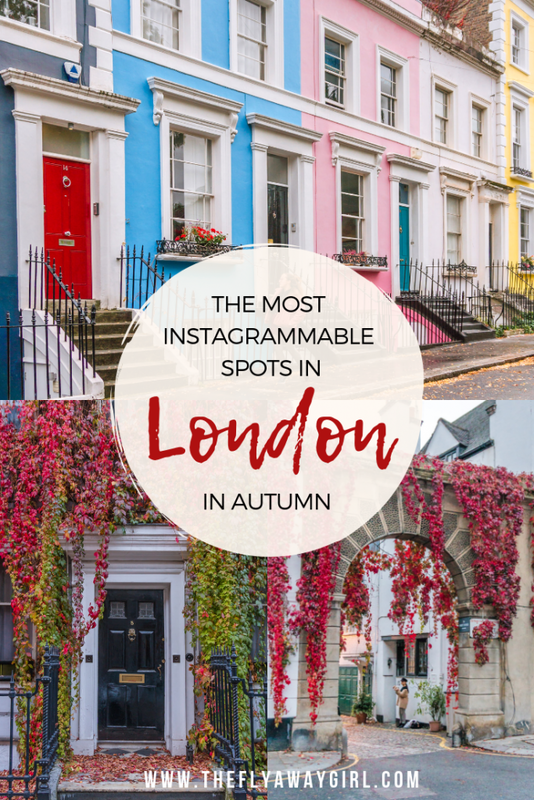 Do you have any recommendations for other Instagram spots in London in autumn? Let me know in the comments!